Login unsuccessful, please try again. 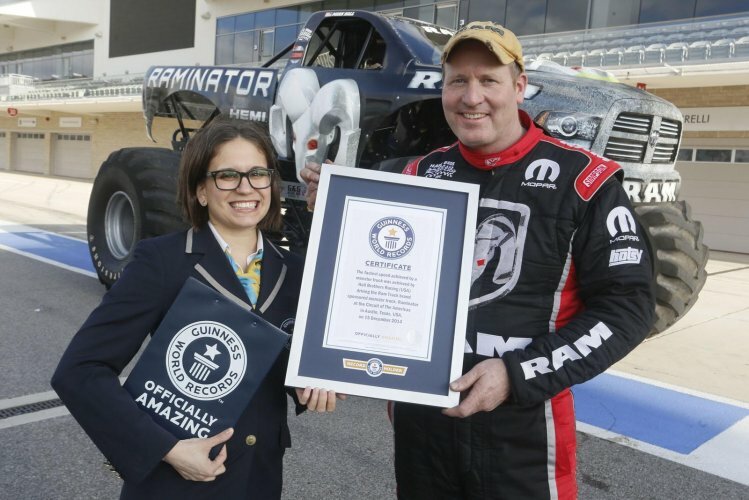 A new Guinness World Record for the World's Fastest Monster Truck has just been claimed by the "Raminator." During a stab at the record at the Circuit of the Americas, driver Mark Hall was confirmed by the data keepers at Guinness that he took the 9.2-liter Supercharged HEMI-powered monster truck to 99.10 mph, beating the previous record of 96.8 MPH. © Copyright 2014 CarVerse all rights reserved.